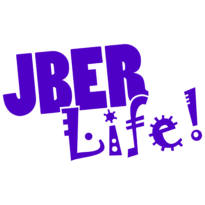 Paradise Cafe | JBER Life! Grilled chicken, bacon, cheddar, pepper jack, and ranch dressing. Grilled chicken, sliced tomatoes, spinach, red onion, and garlic feta spread. Corned beef, swiss, sauerkraut, and 1000 island dressing. Oven roasted turkey, pepper jack, spinach, pico de gallo, and chipotle dijon mustard. Grilled chicken, romaine, tomatoes, cucumber, carrots, croutons, and blue cheese. Turkey, ham, swiss, cheddar, hard boiled eggs, lettuce, tomatoes, and cucumber. Grilled chicken, parmesan, romaine, and croutons. Mixed greens, tomatoes, cucumber, feta, green pepper, red onion, olives, and pepperoncini. Oven roasted turkey, lettuce, tomato, red onion, and pickles. Ham, genoa, pepperoni, provolone, lettuce, tomato, onion, banana pepper, and vinaigrette. Roast beef, cheddar, lettuce, tomato, and pepper relish. Turkey, bacon, lettuce, tomato, avocado, provolone, honey mustard, and chipotle mayo. Your choice of turkey, ham, roast beef, corned beef, toppings, and bread. Grilled chicken, lettuce, tomato, red onion, parmesan, and caesar dressing. Grilled chicken, pepper jack, pico, leaf lettuce, and ranch dressing. Grilled chicken, blue cheese, buffalo sauce, lettuce, shredded carrots, and celery. Coconut, cherry, lime & sprite. passion fruit, pomegranate, ginger & sprite. Granny smith apple & sprite. Key lime pie & sprite. Blue cotton candy & sprite. Orange tangerine, lychee & lemonade. lavender, wild blackberry & lemonade. Blueberry, raspberry, black berry, strawberry & iced tea. Peach, apricot, dark cherry & iced tea. Mango, guava, ginger & iced tea. Mon. – Fri.: 10:30 a.m. – 2:30 p.m.